While Democrats, Republicans, and the intelligence community are all warning about potential Russian meddling in the November midterm elections, ordinary citizens face even greater obstacles to exercising their vote. WhoWhatWhy spoke to voting rights and election integrity experts about the broad range of threats to voting access. They noted that there are other serious election concerns that voters should worry about this fall — challenges to the integrity of the voting process that are not getting enough attention in the mainstream media. In 2016, Donald Trump campaigned with a warning that the vote might be rigged against him. After winning the election but not the popular vote, President Trump — to prove his (completely unsubstantiated) claim that “millions voted illegally” — established a commission to address alleged voter fraud. The commission was later disbanded after many states refused to turn over sensitive voter data and allegations surfaced that its true purpose may have been voter suppression. Voter suppression has worsened over the last decade, Hoffman charged. Most obviously by state legislatures who made it more difficult for some Americans to exercise their right to vote. Hoffman said that the most common tactics in 2017, and continuing into 2018, were cutting early voting, enacting voter ID laws, purging voter rolls, and making voter registration more difficult. Each of our experts echoed Hoffman’s concern that voter suppression tactics will affect the upcoming midterms. All of them pointed particularly to laws regarding voter registration and voter ID. According to a Brennan Center for Justice roundup of 2017 voting laws, registration and ID laws were the most popular ways to suppress the vote. North Dakota and Arkansas passed their first voter ID laws in 2017, while Texas bolstered its existing law. Meanwhile, Indiana, Georgia, Iowa, and New Hampshire introduced laws limiting voter registration. 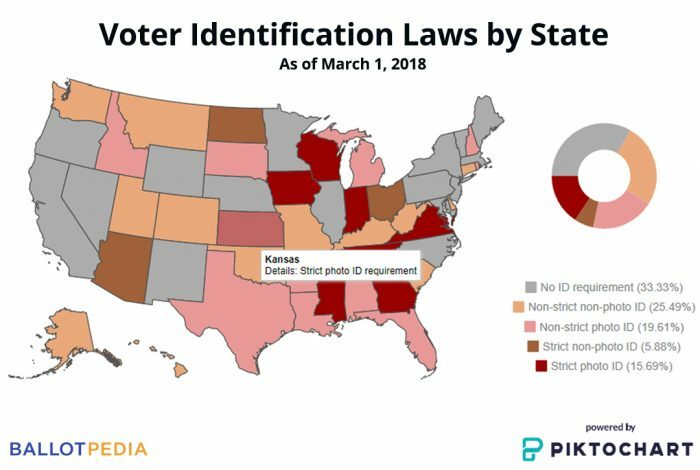 In 2018, this trend continued as four states (Illinois, Maryland, Nebraska, and New Jersey) introduced Voter ID laws, while Kentucky and New Hampshire made their existing ID laws more restrictive. Virginia, Oklahoma, and California also introduced voter registration barriers. So, what makes these laws so popular and easy to pass? “They appear practical to many and ‘supportive’ of securing our vote, something no one wants to be against in this climate,” according to Brett Shears at Vote Allies, a civic engagement organization in California that helps restore voting rights to disenfranchised voters, such as previously convicted felons. 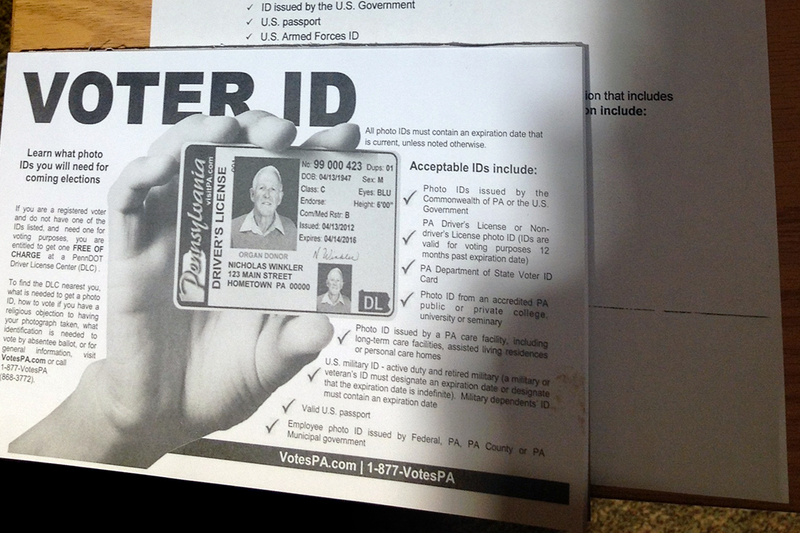 While this may sound like a reasonable way to combat fraud, Shears argues voter ID and voter registration bills wage a psychological war, as much as a legislative one. Shears asserts that voter ID and voter registration laws are part of a war between people like him, who see an expanded vote as the fulfillment of participatory democracy, and those who believe voting should only be for select groups. Shears did note that 2017 wasn’t all bad, as several states such as Indiana, Idaho, and Wyoming reduced barriers to voting. 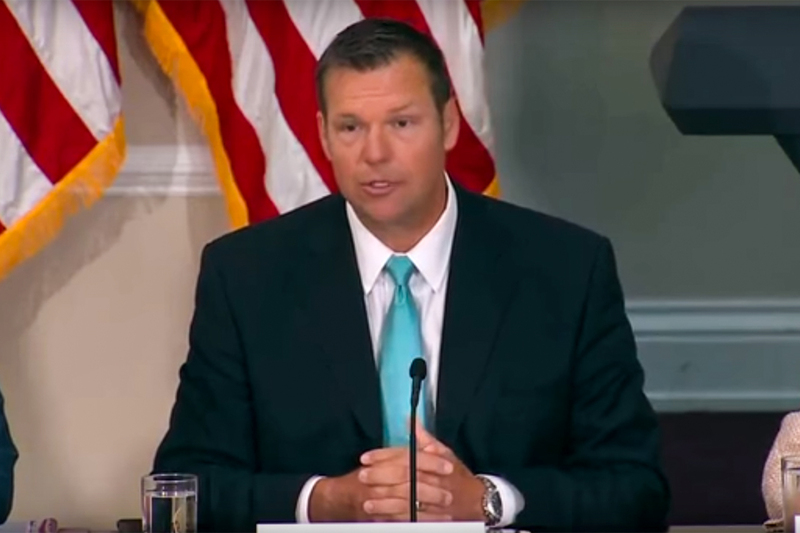 Designed by Trump supporter and Kansas Secretary of State Kris Kobach, Crosscheck was sold as a “free way” to prevent “double voting,” meaning people who vote twice. Ahead of the 2016 election, Crosscheck was implemented in 28 states and analyzed 98 million voters — 7.2 million were flagged as potential “double voters.” More than one million of them were removed from the rolls, journalist Greg Palast alleged, even though it is not illegal to be registered to vote in multiple states. Yet, despite assurances from supporters and Kobach himself, Crosscheck’s methodology proved faulty. The program has recently come under fire for its inaccuracy and racial bias, leading eight states to withdraw (Alaska, Florida, Kentucky, Massachusetts, New York, Oregon, Pennsylvania, and Washington), and three states to consider legislation that will force their withdrawal (New Hampshire, Illinois, and Kansas). Jonathan Simon, executive director of the Election Defense Alliance, notes that the Crosscheck program is just as dangerous — if not more so — than the potential for vote count manipulation. 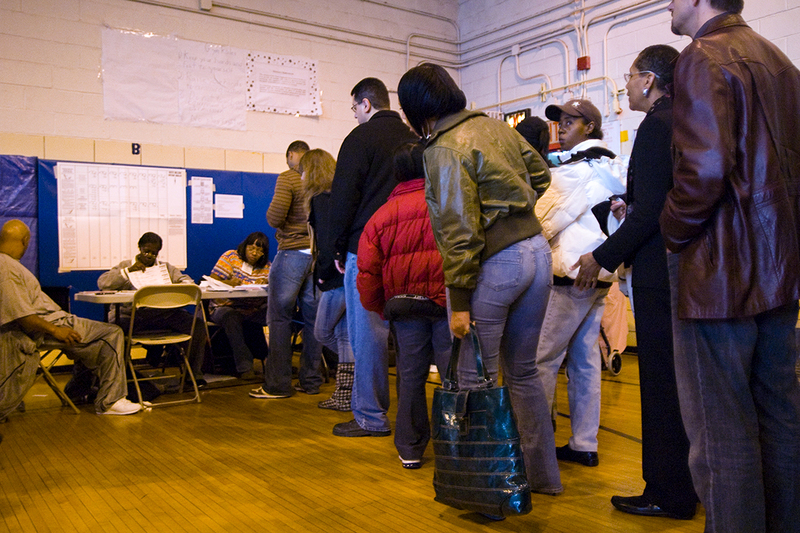 Another aspect that could hinder midterm voters is one that often goes unseen. Mainly because voters are not allowed to see it. Americans are unaware of just who is counting their votes, perhaps assuming that election officials are doing the counting themselves. But that’s often not the case. “Since 2002, vote counting has been outsourced, and not [to] the Kremlin. Companies like Dominion and ES&S are tasked to count our votes. It would be hard to find a more secretive and corruptible industry in America,” according to Simon. Dominion Voting systems is a privately held company based in Toronto and Elections System and Software has headquarters in Nebraska. Electronic voting machines have come under further scrutiny lately, as several reports have recently emerged indicating their vulnerability to hacking. To underscore concerns about the vulnerability of the current system, several states also are looking at adding a paper ballot trail to audit votes, and at upgrading voter machines so that votes can be effectively audited. According to Simon, these reforms run into potential hurdles. Simon noted that while the solution to securing our vote from domestic operatives or the Russians might be hard, it isn’t impossible. Related front page panorama photo credit: Adapted by WhoWhatWhy from sign (MarkBuckawicki / Wikimedia) and voters (Aaron Webb / Flickr – CC BY-NC-SA 2.0).